How do I buy a Blue Frog Plumbing + Drain Franchise? 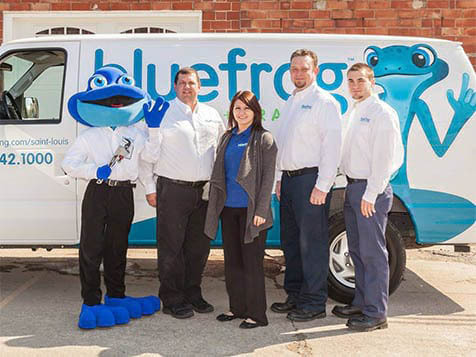 Own a Blue Frog Franchise - A Leader in the Plumbing Industry. Blue Frog Plumbing + Drain is the most exciting business opportunity to hit the $100+ billion plumbing industry in a long time. Entrepreneur magazine, the franchise industry’s leading publication, not only ranked Blue Frog as the No. 52 franchise system to invest in on their prestigious annual Franchise 500 list, but, Blue Frog was the only plumbing franchise that made the list. The reason is simple: Blue Frog is led by a visionary executive with decades of experience in growing franchise systems, whose approach to providing the tools, resources and support necessary to run a profitable plumbing business is a game changer in the industry. So whether you are an existing plumber looking to own your own business, or you're an executive looking for a stable, recession-proof business to run, consider owning a Blue Frog Plumbing + Drain franchise. Inquire and learn more today. 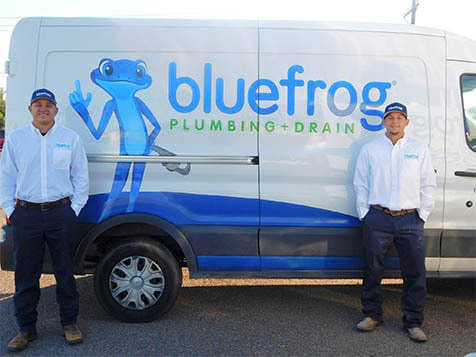 Open Blue Frog Plumbing + Drain in any of these available states: AK, AL, AR, AZ, CA, CO, CT, DC, DE, FL, GA, IA, ID, IL, IN, KS, KY, LA, MA, MD, ME, MI, MN, MO, MS, MT, NC, ND, NE, NH, NJ, NM, NV, NY, OH, OK, OR, PA, RI, SC, SD, TN, TX, UT, VA, VT, WA, WI, WV, WY. Blue Frog Plumbing + Drain is not currently active in our directory, but here are some other recommended selections for you to explore.